Experience one of the most popular beach sports as you harness the winds power on this awesome Kite Buggying lesson! With 2 hours of tuition and an expert instructor, prepare for an extreme ride! The fantastic sport of Kite Buggying is a popular favourite on Britain's beaches as it combines harnessing the wind's power with great speed, all whilst sitting down and using your legs to steer! The three wheeled buggies are lightweight and manoeuvrable and provide the perfect position for capturing the immense power of the wind, as you learn the skills and techniques required to gain some immense speeds. You can expect to be hitting speeds of around 50mph when fully up and running! On this two hour experience you will begin with a safety briefing and some theory and then it's onto the fun part... learning to fly the kites and ride the buggy! Learning to kite buggy is a lot easier than one would expect, as unlike kite landboarding balance isn't essential. With your expert instructor providing constant tuition throughout, you should be whizzing up and down the beach in no time, once you have mastered the steering that is! This makes for a great experience for anyone that loves slightly more extreme sports which can get your adrenaline levels going. The Kite Buggy Lesson is available 7 days per week, from the beginning of April to the end of October, dependant on the wind and tide. Please contact us if you feel that your height or weight may restrict your participation in Kite Buggying. The Kite Buggy Lesson will last for around 2.5 hours. Participants: The Kite Buggy Lesson East Sussex is for 1 participant. The weather plays a large part in Kite Buggying, so the experience will depend on there being wind and suitable conditions - this is discussed with the centre on the day. Time just flew. So much more to the actual kite flying before you can get in the buggy. Alex was an excellent instructor. I had a great Kitebuggy experience this summer. Really enjoyed the day, with a great teacher, who really tailored each persons experience to get the most out of it. I had never tried anything like this before and I was really excited to have a go! It was an incredible day out, our instructor was so patient and helpful and made sure we understood how to control the kites properly. By the end of the lesson we were able to control the buggies (sort of), which was an amazing experience! I want to go again! By far the best part of our adventure week! A few problems getting there as we were not told in advance that the course would not be held at the site on the address from the confirmation, a few 'phone calls & arriving a bit late but we made it & had a lovely day - the instructor & apprentice were fantastic, we definitely want to do more of this in the future! My over all experience was very good. The attention and kindness was very good. I do recommend that as they are expected to train novices, that they also carry a a first aid kit as an accident can happen. I highly recommend the experience to any one who wishes to try or take it up as a hobby or sport. Had an awesome day, we got used to handling the smaller kites then upgraded the larger more powerful ones. Given the wing was quite gusty we just used the buggy, but if the wind was more steady we could have used the board as well. I had a great day and shared the equipment with only 3 others so I got plenty of time to try it out. If only I lived nearer the sea I think I'd be hooked. A little to long flying kites and not enough time actually kite buggying! Martin was an excellent instructor. Some confusion on the morning regarding directions but was made up for by the experience. Area where carried out was not ideal due to being used by public with dogs (!) and the uneven surface made kite Buggying a challenge for first timers. I’ve always admired kite sports. It looks so impressive as people race along the beach, surfing and jumping into the sky supported by their kites and It’s always been something I’ve wanted to try. 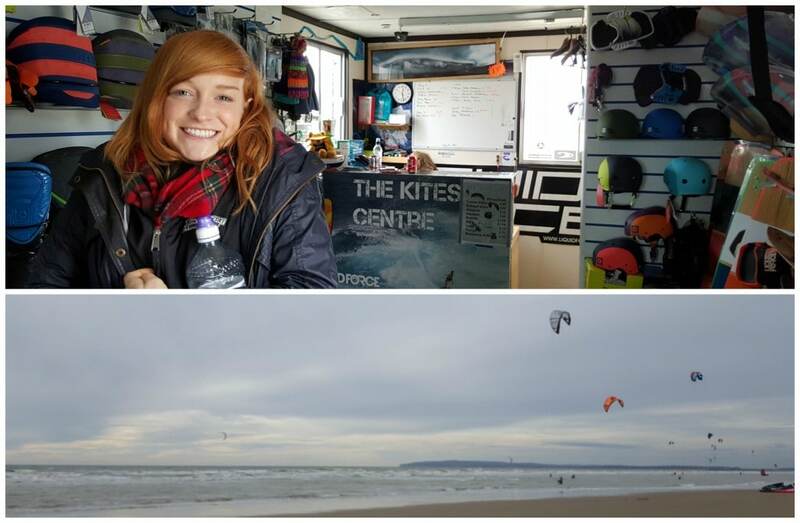 So, when we were invited to take part in a Kite Buggy class held in Camber, East Sussex, I was over the moon to be given the chance to try out this awesome sport! We set off to Camber and after a drive through the winding roads of the Sussex countryside, we arrived at our destination. We were greeted with sights of kites soaring above the beach, harnessing the power of the wind. The winds were set to reach 16 mph that day, so conditions look like they would be perfect! After signing a few forms, wrapping up warm and being introduced to Oreo our instructor, we were ready to go! Buggies in tow, we walked down onto the beautiful beach of Camber sands and were met by a dazzling view of sea and sand. Oreo gave us a run through of the basics of Kite Sports, introducing us to the importance of the wind directions and the way we were facing. As complete novices, we were beginning to realise there was going to be a bit more to this sport than met the eye. After a while of taking turns practising and Oreo offering guidance and helping us every step of the way, it was time to take a seat in our buggies! We were slightly apprehensive, but soon realised they were pretty easy to control and more importantly – easy to stop! Getting the hang of flying the kite, steering the buggy and moving all at once was a challenge. However, with the help of ever patient Oreo, we were soon able to control the buggy and race across the sand – for a little while at least! 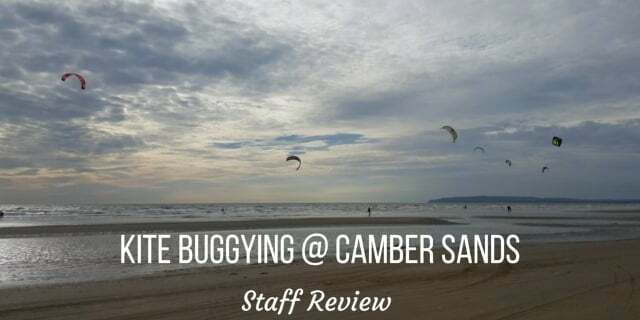 The stunning scenery of Camber Sands, dotted with other Kite Buggiers, Kite Boarders and Kite Surfers, made the perfect setting for us to try out this awesome sport. After experiencing the excitement of this extreme sport, it was clear to see why so many people become addicts! I’d highly recommended this Kite Buggy experience to anyone who is looking to try out a new adventure sport. 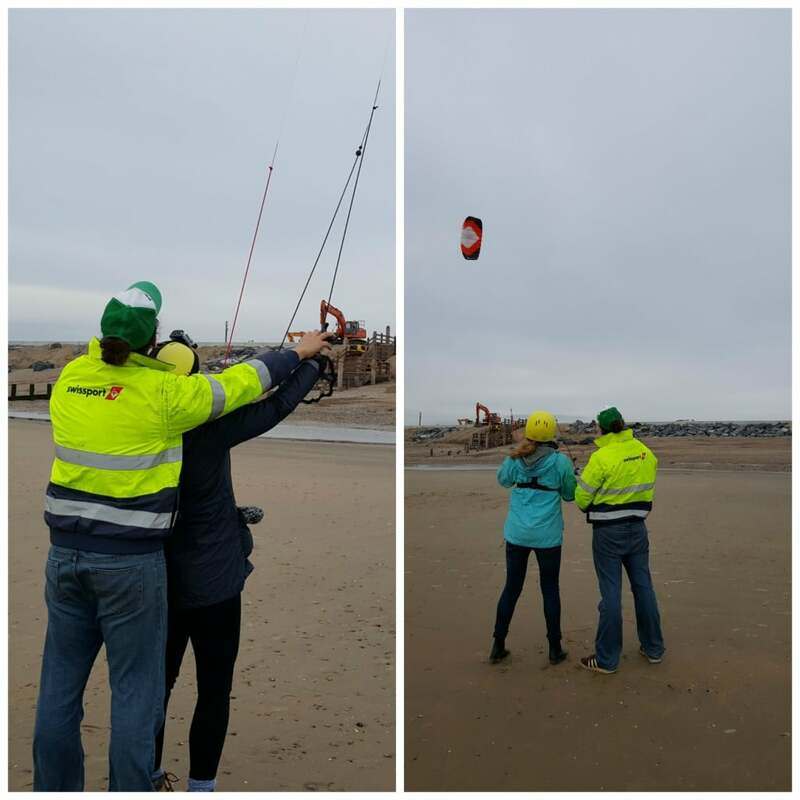 Although it is challenging, it is loads of fun and we came out of the experience feeling like we’d achieved something and learnt the basics of Kite Buggying. I can’t wait to go again! You can buy yourself or a loved one an experience gift voucher for this Kite Buggy experience here. Where in East Sussex is the Kite Buggy Lesson East Sussex held? 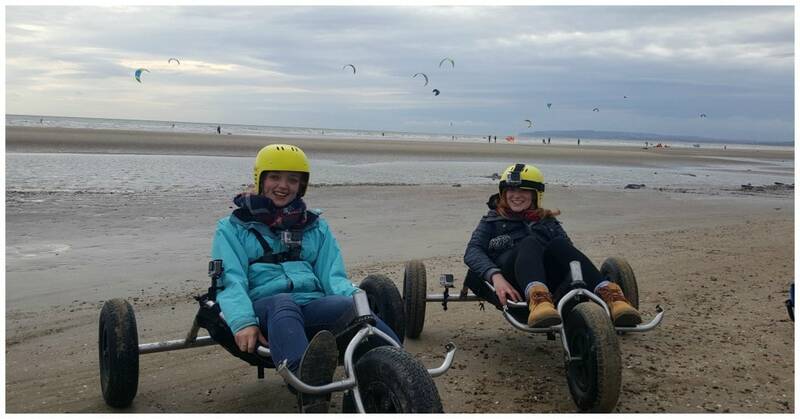 The Kite Buggy Lesson East Sussex takes place along the beach in Camber. A map is also provided on this page.